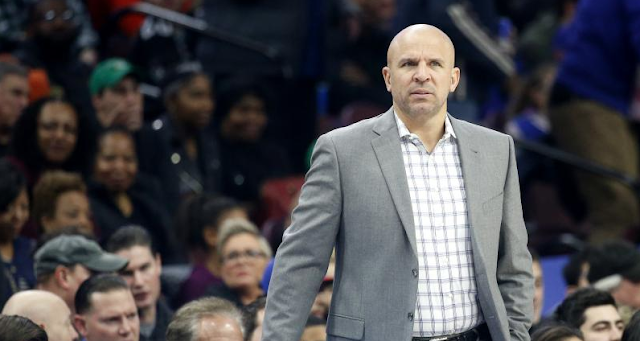 Bucks Fired Jason Kidd Without Even Telling Him; Giannis Was "Devastated"
Jason Kidd has been fired as the Milwaukee Bucks head coach, according to a report from ESPN’s Adrian Wojnarowski. Kidd led the Bucks to a 23-22 record through the first 45 games of the 2017-18 season, but the way he was let go is somewhat shocking. Milwaukee assistant coach Joe Prunty has been named as interim coach. Twitter reacts to everything, and his dismissal was no different. See how fans and pundits around the league reacted. Jason Kidd arrived in Milwaukee with a lot of influence with ownership. That influence--and the power that came with it--eroded significantly over the last year. League sources confirm that the Bucks have fired head coach Jason Kidd (@wojespn first). Source says ownership felt Milwaukee was “underachieving” this year; Bucks are currently in the eighth and final playoff spot in the Eastern Conference.